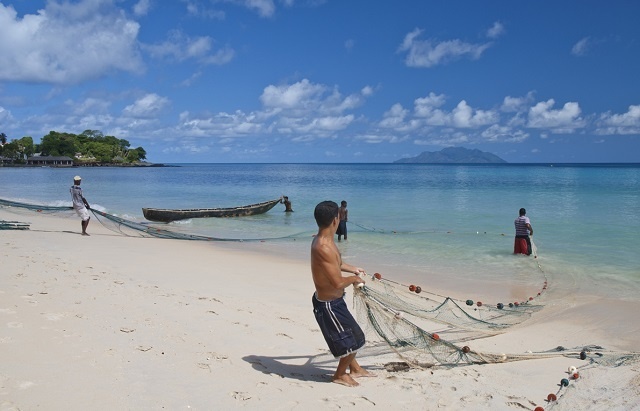 (Seychelles News Agency) - High bank collaterals, a lack of access to fishing technologies, a lack of manpower and illegal fishing were key challenges highlighted during the launching of Seychelles’ new roadmap for the Blue Economy on Thursday. “We have noticed that there is a huge problem in this sector when it comes to getting local manpower and this is largely related to drug abuse, which is especially affecting the younger population,” added Bargain. “What makes it difficult is that the majority of banks are asking for high collaterals before financing any new projects. They also say that fishing is seasonal and the cash flow might be inconsistent. Banks are scared to finance new projects,” said Haughton. “When we talk of capacity building and developing this sector it largely encompasses the youth. We should find attractive ways to drive them into this sector,” said Belle. The Commonwealth Secretariat has been a key partner and strong supporter of Seychelles’ Blue Economy. Over the past three years, it has provided Seychelles with technical assistance to develop its Blue Economy roadmap and to facilitate other related projects.